The Ochre-striped Cardinalfish (Apogon compressus) is definitely my favorite cardinalfish. Just like most cardinals, they are omnivores and will easily accept prepared foods. 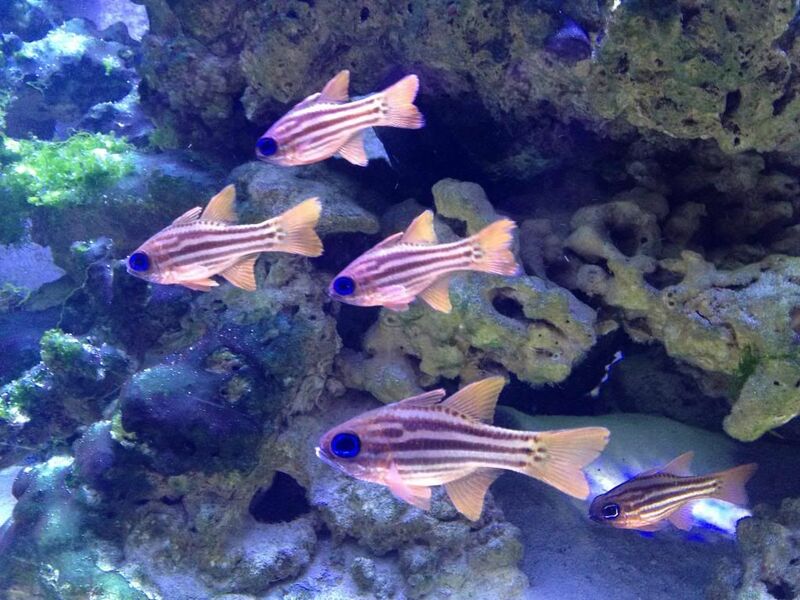 They do get pretty big for cardinalfish so that puts smaller fish and shrimp at risk when in the same system. Typical reef conditions are ideal for keeping these fish. They tend to congregate among coral branches forming small schools. Reef lighting also brings out the blue around their eyes.